Featuring a large main pocket with easy access bucket style opening, an internal sleeve for 15" laptops or a tablet, and a mesh pocket to keep your keys, phone, and small items safe from the elements. 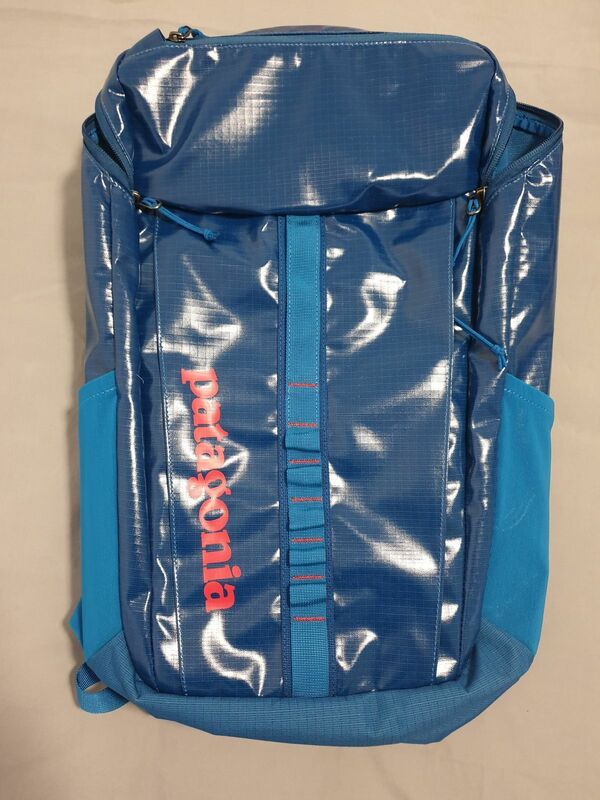 Like all things Patagonia, the Patagonia Black Hole Backpack 25L is made responsibly and built to last. Light and strong polyester ripstop with highly weatherproof TPU laminate and a DWR (durable water repellent) finish. 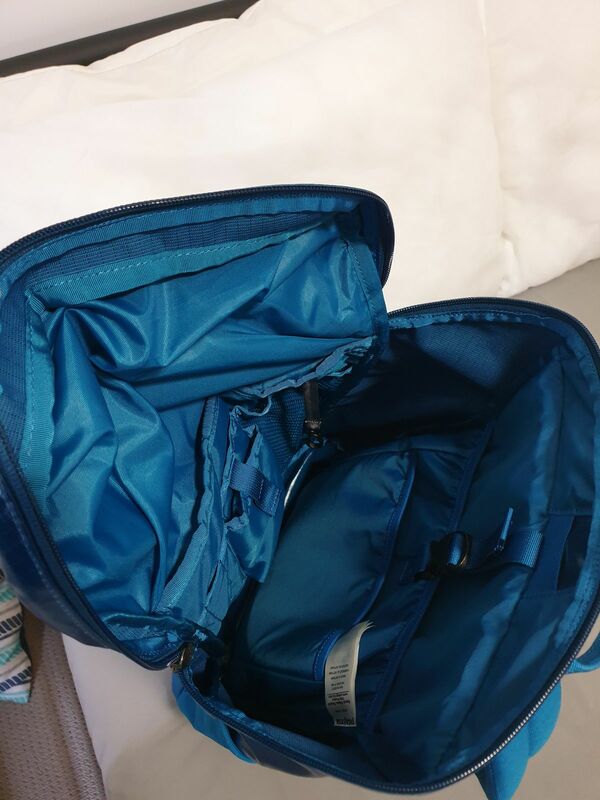 Easy-access main compartment with padded sleeve holds most 15" laptops; zippered top pocket for small items. 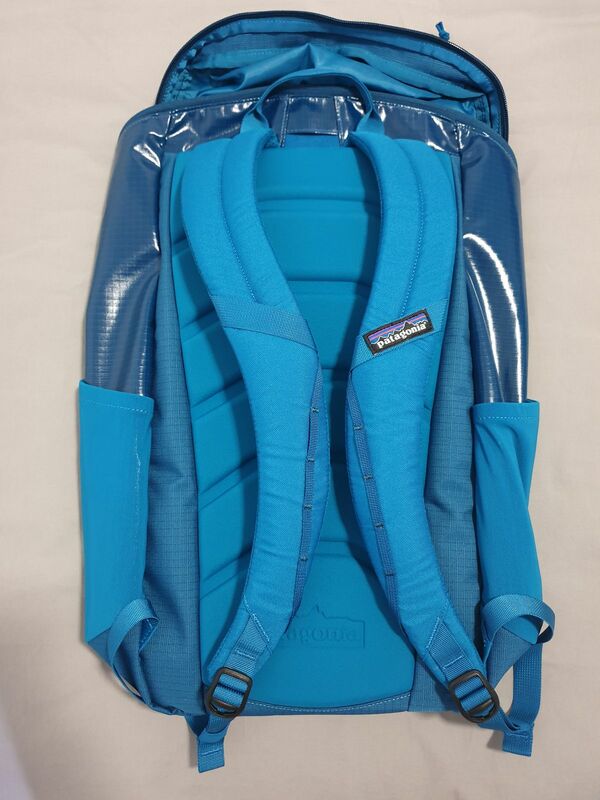 Heavy-duty molded back panel for comfort and durability. Padded shoulder harness and a sternum strap. Stretch-woven pockets hold a wide range of water-bottle shapes and sizes. 13-oz 450-denier 100% polyester ripstop (50% solution-dyed) with a TPU-film laminate and a DWR (durable water repellent) finish. Fabric is bluesign® approved. Awesome looking bag, waterproof, heaps of storage for its size, many internal compartment.